"After Life (afterlife)" referred to as life after death, the Hereafter, the Next World. Another story of the great popularity of "Life" series, JINMO's live album, no, it should be called "Life" album, live recording of his unaccompanied guitar solo show. 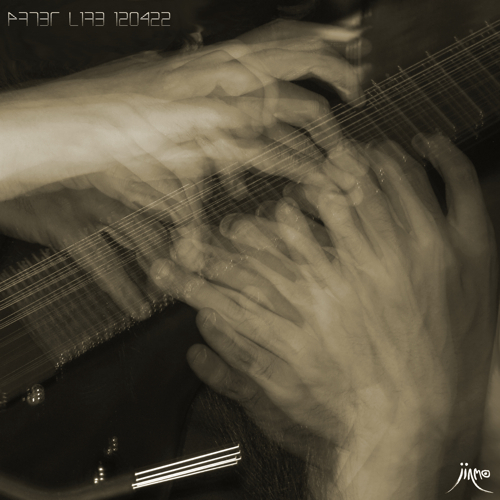 As you know, his previous album "Life 120414" would be the posthumous work of the former JINMO, and this album "After Life 120422" would be the birth cry of reborn JINMO. On April 14th, JINMO once died then he was born. He showed rapid recovery that surprised his medical team, and he left the ICU in just 2 days. Three days after his death, he had back to work †(drawing nanoZen) in the hospital. Just one week later, on April 21st, he left the hospital. It was just three days after that his doctor allowed him to walk 30 meters though. His doctor told him when he left the hospital as "don't forget that he is in the state should have absolute rest normally, he must not to have intensive performance for a few month". However, he has returned to the audiences in the special explosive performance on the next day, 22nd April. This album is the record of his amazing return. Instrument that he played in this show is "Jinmoid". Effector is Cranetortoise's compressor "GC-1" only. Amplifier is his recent favorite ZT Amp's "Lunchbox". His intense explosive performance that played at maximum 120 dB had recorded with stereo microphone. Thereafter, he had effector processing to the highlight for the 13 minutes 43 seconds in the second half of his performance. This is the album "After Life 120422". Cover picture is JINMO's fingers on this day, it has taken by photographer Tatsuya Ishiguro. The picture is "one shot shooting without any processing" as Mr.Ishiguro said. This is exactly as the sound it is. This album "After Life 120422" would be the must listen album for all JINMO manias. Please enjoy new born JINMO's Jubilant birth cry at blasting volume so rad!